Yes, we do make house calls. 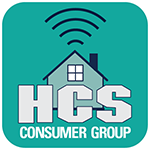 The HCS Technology Group has over 20 years of experience helping both corporate and consumer clients gain the greatest possible benefits from the latest technologies. We offer the most up-to-date, comprehensive solutions for all your computing and communication needs. HCS offers a wide range of custom, personalized technical services from the simplest to the most complex with a skilled team that is ready to deliver. Tap into our pool of consultants, experts in installation and setup, training and support. New Mac Installation and Configuration - We will come to your home, unpack, set-up, and connect your new Mac and accessories. macOS fundamentals training such as accessing the Internet and setting up and using Mail, Contacts, Calendar, Reminders, Messages, and Notes. Creativity basics such as using: iTunes, Photos, iMovie, and GarageBand. Productivity basics such as using: Keynote for presentations, Numbers for spreadsheets, and Pages for word processing. Orientation when migrating from a Windows environment to macOS. Troubleshooting – No more head scratching. Let us find the problem and fix it for you. macOS Migration – You may want to take advantage of the latest features of macOS by migrating from Windows to macOS, upgrading your older macOS to the most current version, or you might want to upgrade your applications. HCS can do this for you. Network/Wireless Installation and Configuration – You can have a wireless network in your home and take advantage of Apple’s line of Airport products as well as Bluetooth technology. Let HCS show you how. iPhone, iPad, iPod Family and iTunes - HCS can show you how to synchronize iTunes with your iDevices, and additional uses for your iDevices besides listening to music, making phone calls or browsing the web. Backing up your Mac - How to protect your investment: We will help you setup a backup system for your computer and devices and show you how to restore your backups in the event of an event requiring data recovery. Photos - How to get the most out of your digital photo experience using your digital camera, your photo printer, and your photo scanner – Tutorials using Slideshows, Presentations, Photo books, and more. Cross Platform – macOS or Windows. You can share printers, data, and other accessories.